Seeds germinate easily with a little help by providing the proper growing media, container, water, temperature, and light. Growing media for seed starting is what you plant your seeds in. Think dirt, but it’s not dirt. It should be fine in texture but most of all it should be sterile. You can find several seed starting mixes out there but I have had the best luck using “No Damp Off” by Mosser Lee. Simply, it’s a finely milled sterile sphagnum peat approved for organic growing. A little goes a long way. Avoid breathing in this light and airy peat. Seeds carry all of the necessary nutrients to get them started so don’t be fooled by those with a lot of unnecessary ingredients such as fertilizers and wetting agents. Most of these have not been approved for organic growing. It doesn’t really matter what type of container you plant your seeds in as long as it is shallow. I use a lot of recycled materials that have been disinfected in a solution of 1 tablespoon of bleach to 1 gallon of water. Plastic egg cartons, plastic veggie containers and some of the oven or microwave containers work well. They only serve as a vessel to hold the growing media, seeds, and water for a short time. Make sure they have drainage holes. I use a 20 row seeder when I am sowing a lot. These individual rows provide dividers when I want to sow several different seeds and it only takes up the space of a flat. The growing media needs to be kept moist. I water from the bottom of the drip tray (the tray underneath the container) and allow the water to soak up. I then spray the top with a spray bottle after sowing the seeds. I’ll use the spray bottle daily to mist and keep the media evenly wet. You can use a clear plastic dome that will increase humidity and prevent from drying out as quickly, or regular plastic wrap works well, but is a pain putting it on and off. The soil temperature is more important that the air temperature. Each seed has an optimum temperature for germination. Detailed information can be found in the book The Seed Starters Handbook by Nancy Bubel or in Knott’s Handbook for Vegetable Growers, Fifth Edition by Donald N. Maynard and George J. Hochmuth . Odds are, in your home, if the temperatures are 70 degrees, the soil media in your little germination trays will be 70 degrees. If you grow in the basement, like I do, it’s a little cooler, so for some veggies, like peppers, I will use a heat mat to increase the temperature allowing for improved germination. Keep in mind that when seeds are germinated at their optimum temperature, you will see a more even, improved, and quicker germination. Items such as this Germination Station with Heat Mat from Hydrofarm work great. Your seedlings will emerge at different rates. You will notice the stem first, arching like a sea serpent with leaves to follow, roots beginning to anchor in the soil. 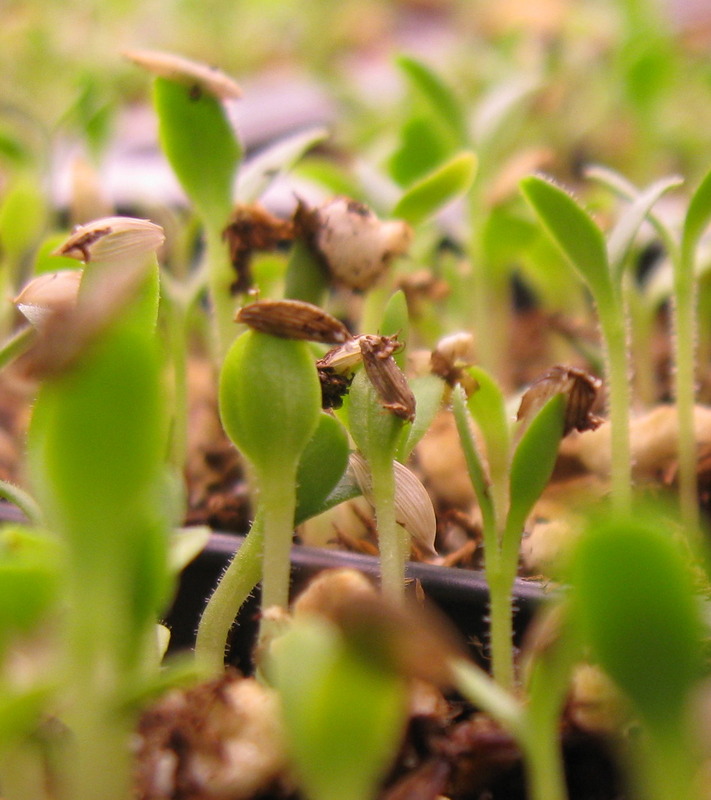 Within a day or so you will see little plants reaching toward the light with their cotyledon leaves. At this time any plastic should come off and the lights should go on. The cotyledon leaves are the leaves which hold all of the nutrients necessary for the plant to start growing. The next set of leaves are called the “first true leaves”, which means exactly that. Once this set of first true leaves unfold the plant really starts growing and now is the time to transplant these new seedlings into larger containers or cell packs. It is important to keep the lights on for 12-14 hours to allow for proper photosynthesis and to avoid stretching. Providing proper lighting will encourage shorter, compact plants reducing that “leggy look”. Even if you have a very sunny window sill, you will benefit by providing supplemental lighting for healthier plants. For seed starting, full spectrum fluorescent bulbs work best. These are available in many shapes and sizes. The Two-Foot Grow Light from Hydrofarm fits well in most spaces. If you have more room, this Four-Foot Grow Light will have enough space to grow two flats. You will notice soon that the cotyledon leaves will dry up and fall off. That’s normal so don’t worry! Not all seeds require starting indoors, and some may only need to be started a couple weeks before planting outside. I love starting seeds. It gives me the option to grow so much more than what is available at the garden centers. 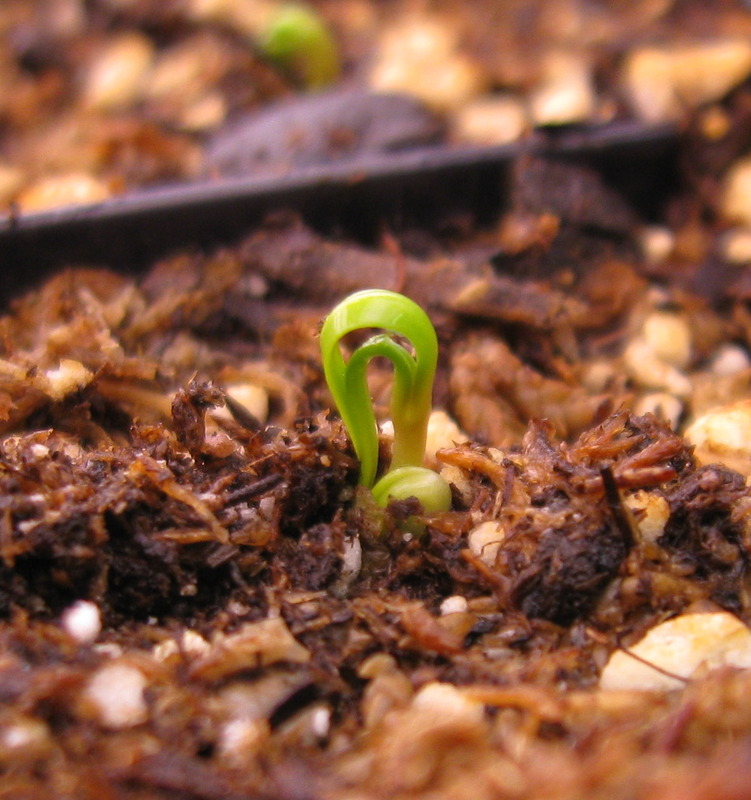 If you are hesitant about starting seeds, just try one new thing this year. You may be surprised! Click on the links above and below for more information on seed starting supplies! I want to grow Aji Dulce Red. Please tell me if you have trays to help us grow thousands of seeds. Hi Edwin. 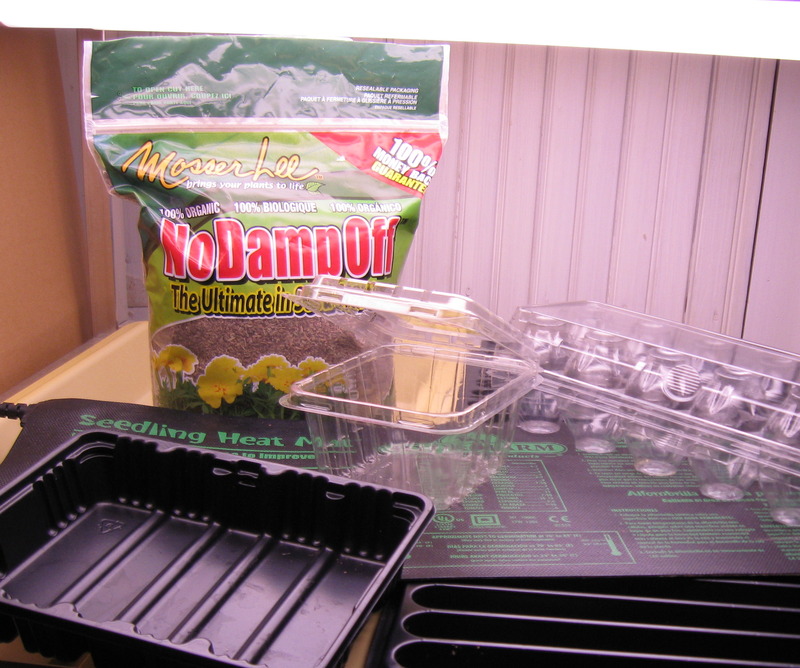 I have added a link to the Hydrofarm Germination Station and some additional trays to this post. Good luck! These peppers sound good!